South Lake Tahoe, Calif./Nev…Tahoe South, “America’s Best Lake,” (USA Today, Aug. 2012) is experiencing a renaissance this summer as entrepreneurs and investors are pumping millions into improvements and new construction. 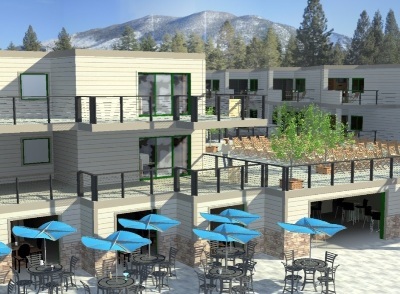 From total reconstruction of lodging properties — Landing Resort & Spa, Basecamp Hotel — to planned construction on The Chateau, confidence in the Tahoe market is rebounding with the economy (http://www.tahoesouth.com). The Tahoe Regional Planning Agency also successfully passed its new blueprint for the future in the Lake Tahoe Regional Plan Update. One of its priorities is streamlining the permitting process with the underlying goal of encouraging environmental redevelopment. An alliance of Tahoe South lodging properties, in cooperation with the City of South Lake Tahoe, will launch the Lakefront District this summer. Spanning from Ski Run Marina south to just past Lakeview Commons Beach the area includes all properties and businesses that are within 200 yards of the water. 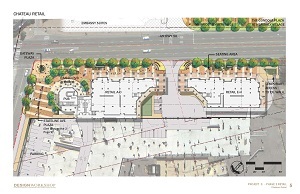 The Lakefront District’s highlight is the centerpiece of Tahoe South – the lake – and integrates with the City’s Community Area Plans that call for neighborhoods with distinct personalities and attributes. Banners, maps, signage and a website will identify the place for visitors and locals. At the water’s edge, a multi-million dollar renovation is transforming a piece of old Tahoe into a high-end boutique hotel. Construction began last fall on the grounds of the former Royal Valhalla Lodge. With an opening scheduled this September, the new Landing Resort & Spa will offer 77 upscale rooms, a restaurant which features wood-fired Greek seafood and outdoor fire pits, a full spa and fitness center, as well as a rooftop wedding site overlooking Lake Tahoe. A new 160-foot pier was completed at Tahoe Beach Club just north of Edgewood Tahoe. One of the few floating piers in Lake Tahoe will serve as the summer recreational center at the first fully-owner residential lakefront development in 25 years. The private Beach Club will include 143 luxury villas and estate homes, an indoor/outdoor pool, boat-accessible beachfront restaurant, health club with work-out facilities, spa and locker rooms, concierge services, and business center. Tahoe Beach & Ski Club is in its third year of a five year renovation. Recent improvements include new kitchenette floor plans to create a more spacious feel along with energy efficient appliances, granite bar and countertops and solid wood cabinetry. The bedrooms include new furniture, mattresses, bedding/ duvet covers, nightstands, lighting and Tahoe-centric photography from local artists.